This isn’t quite as good as my all-time favorite anti-gun control poster, but it is a powerful reminder that the Second Amendment is ultimately a check on government. I’ve periodically put up other gun control posters that have been very popular, and you can peruse them here, here, here, here, and here. I’ve also posted amusing images of t-shirts and bumper stickers on gun control, which can be seen here, here, and here. A good joke can be found here, and I also recommend this Chuck Asay cartoon, as well as this example of the kind of gun Obama prefers. And some funny videos on gun control can be viewed here and here. 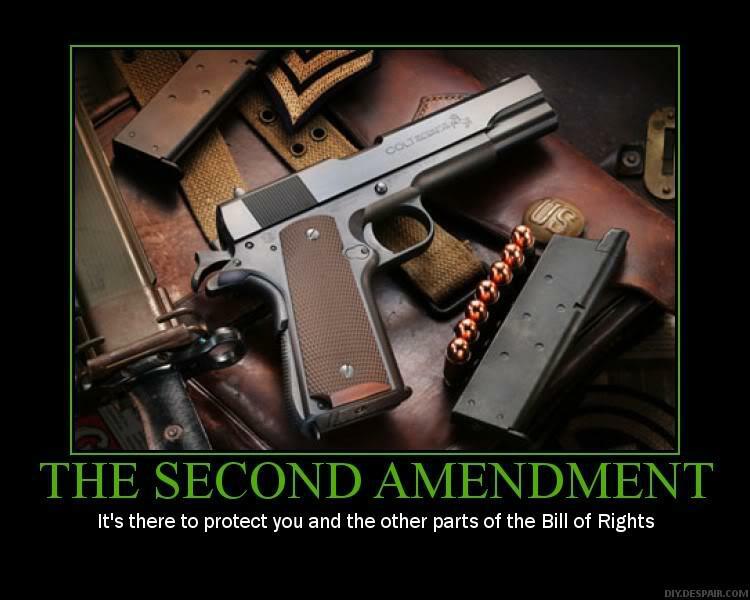 And if you’re looking for something more serious on the Second Amendment, you can watch some great videos here, here, and here. If you’re in the mood for some inspiration, check out this powerpoint presentation. Last but not least, this rumored letter-to-the-editor is worth reading, and I like to think my interview on NRA-TV is a good way to spend a few minues. I always love to play airsoft because it is simply a great game and sports too. .